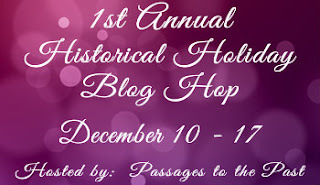 Stephanie Thornton: Historical Holiday Blog Hop Giveaway! Historical Holiday Blog Hop Giveaway! The marvelous Amy at Passages to the Past is hosting what may be my all-time favorite blog hop. A whole slew of bloggers are offering up historical fiction giveaways, and Amy has compiled some terribly drool-worthy grand prize packages. Oh yeah, and one of the packages just might include a signed ARC of THE SECRET HISTORY: A NOVEL OF EMPRESS THEODORA! My first ARC giveaway! Go enter now--this post will still be here when you get back! 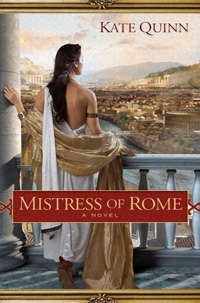 I had to join in the fun so to celebrate I'm giving away one brand-new mass market copy of Kate Quinn's MISTRESS OF ROME. Aside from Diana Gabaldon, I can't think of any other historical novels that have been so popular to make a mass market printing. (And yes, I'm sure there are some, but I've been grading research papers so my brain could pass for a bowl of shredded wheat right now. Blecch). I so love this book. A mass market printing makes for more people reading one of my favorite novels about ancient history, and that makes me beyond happy. In order to enter, just leave your name in the comment section below. The contest is open internationally and runs until 11:59PM Alaska Standard Time on Sunday, December 17th.